SYLAR have streamed their new video for 'SHOOK! ', and announced their first ever US headline tour, with support from Varials and GroundCulture, plus a Special Guest (TBA). 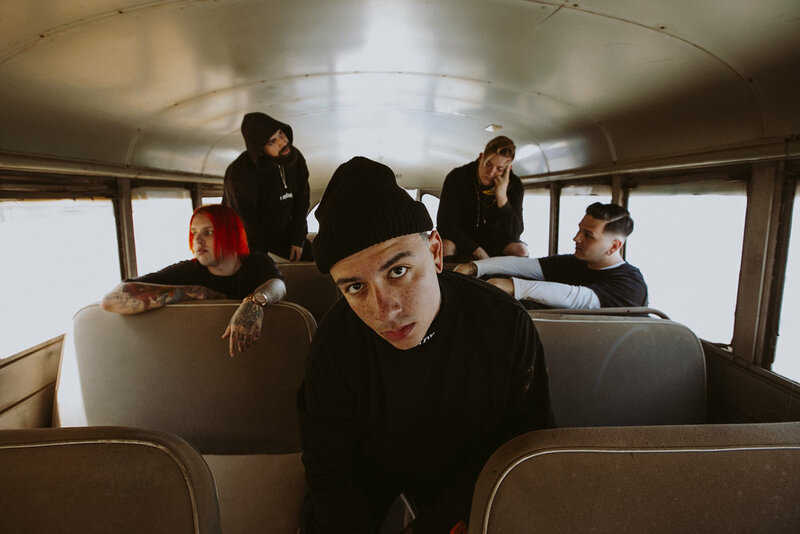 The video follows the band's new LP Seasons, released via Hopeless Records in October 2018. SYLAR is a celebration of self-expression, against a backdrop of down-tuned bounce, stadium ready choruses, and streetwise hip-hop flavor. The Queens, New York sonic stomp squad are positioned as a new voice for the voiceless, unapologetically championing the underdog, reigniting the rap/rock genre, and doing it all with style. They’ve taken the melodic might of Linkin Park, the swagger of Limp Bizkit, the atmosphere of Deftones, the straightforward bounce of P.O.D. and the heaviness of Marilyn Manson, and forged something uniquely their own, blazing a new path of individuality within metalcore. SYLAR became road dogs in the process, winning over crowds on lengthy runs with Beartooth, Atilla, Ice Nine Kills, Insane Clown Posse, Issues, Memphis May Fire, and the Vans Warped Tour, as well as stops at major festivals like Welcome to Rockville, Carolina Rebellion, Northern Invasion, Rock on the Range, and the UK’s Slam Dunk Festival.